Sergio Rodriguez positive attitude is what stands out from his coach and teammates comments on him through EuroLeague’s latest Focus On video. 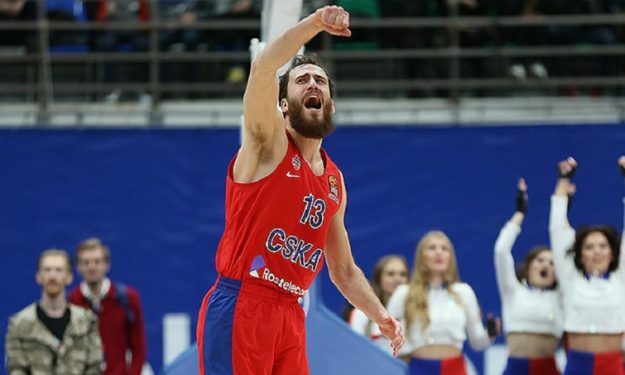 EuroLeague presented the Focus on Sergio Rodriguez video. Dimitris Itoudis praised his player’s positive attitude mentioning that everybody likes him. Kyle Hines, Nando De Colo and Alec Peters were also featured, but mainly complimented El Chacho’s playing abilities. Finishing the video, 32-year-old Rodriguez himself said: “Every year expectations are high and you want to be better. When you play for a big club like CSKA, you’re always on the highest expectations. I have to work every day and prepare for the games, to put myself in the best position to help my teammates and the team to win”.